The LOSSAN (Los Angeles – San Diego – San Luis Obispo) Rail Corridor sought to reach target audiences efficiently and effectively throughout its diverse and expansive geographical region. 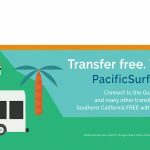 Circlepoint was brought on board to implement a comprehensive marketing campaign to improve recognition of the LOSSAN service and increase its off-peak ridership. 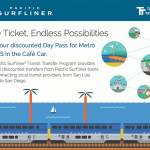 Circlepoint developed materials to promote the new Transit Transfer program for Pacific Surfliner, LOSSAN’s marquee service offering. 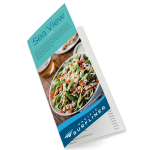 This included creating a word mark for the program, a rack card, transit ads, social media ads, and email marketing content. 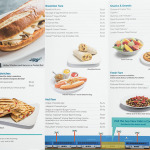 The team also revamped the café menu and drink menu for the trains, which included new food photography and a fresh look and feel for the menu. These were created in physical and digital versions to serve the needs of LOSSAN’s numerous audiences. Additionally, Circlepoint produced a series of radio ads to promote usage of the train for travel to and from San Diego Chargers football games, which aired in Los Angeles and San Diego markets. 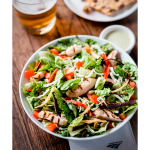 Following the success of the radio campaign, Circlepoint engaged with television broadcast media partners to develop and deploy a strategic television ad campaign in late Spring 2017 to build summertime leisure ridership. 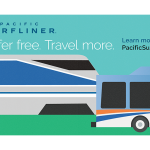 To enhance partnerships, we also created an advertising plan to promote Surfliner in publications run by local Community Benefit Districts throughout the corridor.